[2015 Update] Strawberry cheesecake has made the transition to Non-GMO awhile back and I'm not sure you'll notice the difference. Original review stands below. "no wait, I'm over here"
My wife loves this one and I have no problem leaving it all for her. I'm really shocked on this one, especially since it looks so cool when you open it. There are these tantalizing strawberry bits scattered everywhere, but unfortunately their flavor felt masked by the cheesecake. This one is cheesecake first, strawberry second. The graham cracker crust is also fresh and tasty. Oh well, back in the freezer it goes. "I AM CHEESECAKE, HEAR ME ROAR!!" This is one of those flavors I didn't buy for me, I only sampled it. I'm just not a huge cheesecake fan. 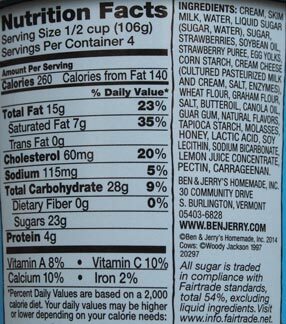 i used to buy the stawberry cheesecake ben & jerrys back in the early 2000s but they change their recipe. it used to be chunks of stawberries and chunks of cheesecake. now the ice cream is flavored cheesecake. i don't like it so i stop buying it. After four years, I finally tried this one and I tried to keep an open mind with it because I didn't like B&J's Cheesecake Brownie or Berry Voluntary (Raspberry Cheesecake). I also dislike strawberries and cheesecake. 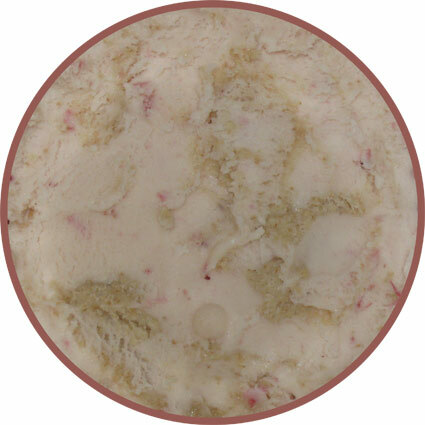 Having said that, after my first bite of Strawberry Cheesecake I was hooked. This cheesecake flavor was not nearly as potent as the Cheesecake Brownie. I didn't find it cheesecake-y at all because if I did I wouldn't have enjoyed it as much as I did. I thought the graham cracker swirl took the center stage and that was the best part. 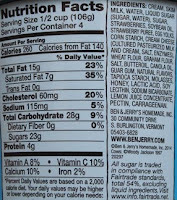 This is definitely one of my favorites from Ben and Jerry's. I just wish I hadn't waited to so long to try it! 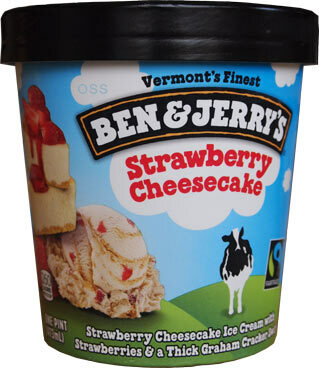 just seconding that this is Ben & Jerrys best flavor, no question. When I tried it, the taste was the exact opposite of what you described. 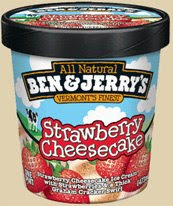 Frankly the strawberry flavor was so overpowering that I couldnt taste the cheesecake base. It like eating a straight up strawberry ice cream. The graham cracker crumbs were also so few in numbers that I couldnt taste them much over the strawberry flavor. Definitely a disappointment, given that I love cheesecake.